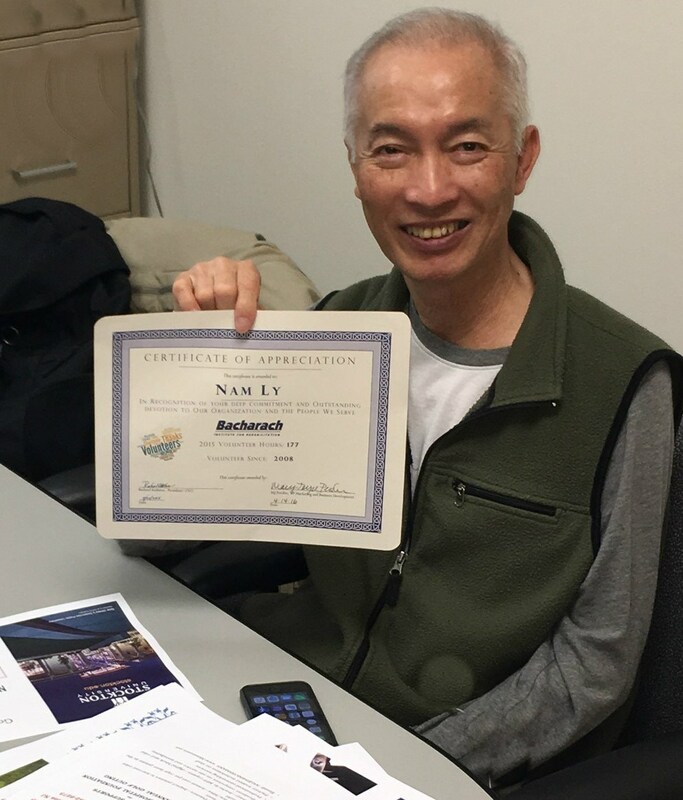 Long time volunteer Nam Ly joins us every Wednesday to tackle a mountain of paperwork. Bacharach welcomes volunteers and offers two different volunteer programs, one for students and one for adults. The student volunteer program is open to undergraduate students who need to obtain physical therapy or occupational therapy observation hours for graduate school. Last year Bacharach had 70 volunteers go through their observation program and complete 1,982 observation hours. 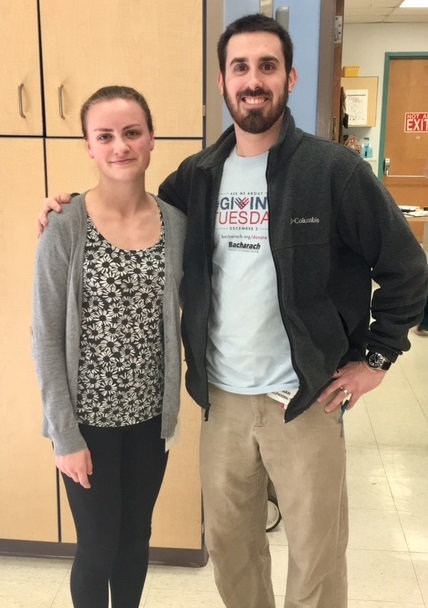 Rebecca Costill, student volunteer and Brett Gottman, OT. The adult volunteer program has a different focus than the student program. Adult volunteers help out with administrative work in the hospital, help visitors find their way around the facility, and assist patients and families. Last year the program had 19 active volunteers completing 2,545 hours of service. For more information on Bacharach’s volunteer programs call Jamie at 609-748-5250.